Observation - Moorhen - UK and Ireland. 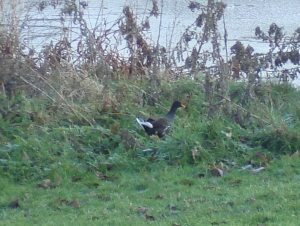 Description: Moorhen walking through the vegetation at the side of a frozen pool. Moorhen walking through the vegetation at the side of a frozen pool.